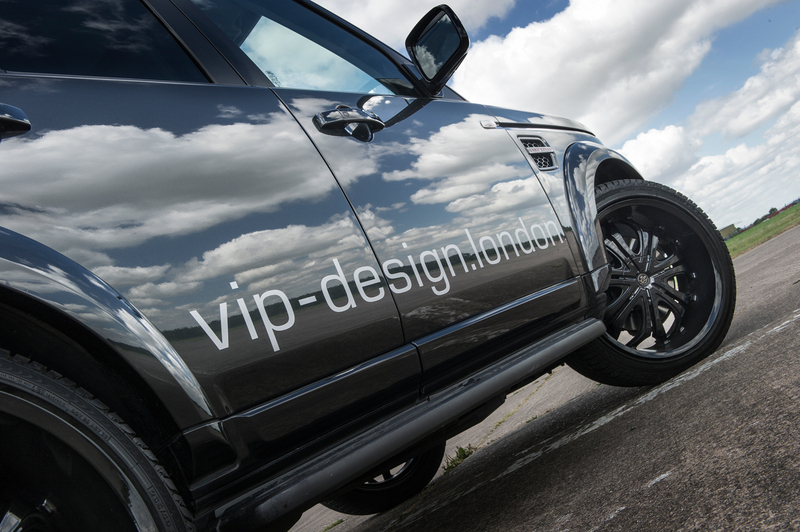 If you like your own current rims, don’t worry, we also do the full set of upgrades without our wheel and tyre package. 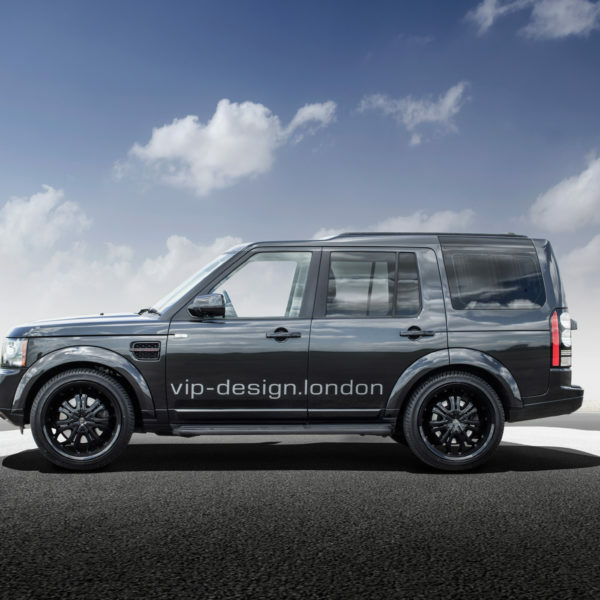 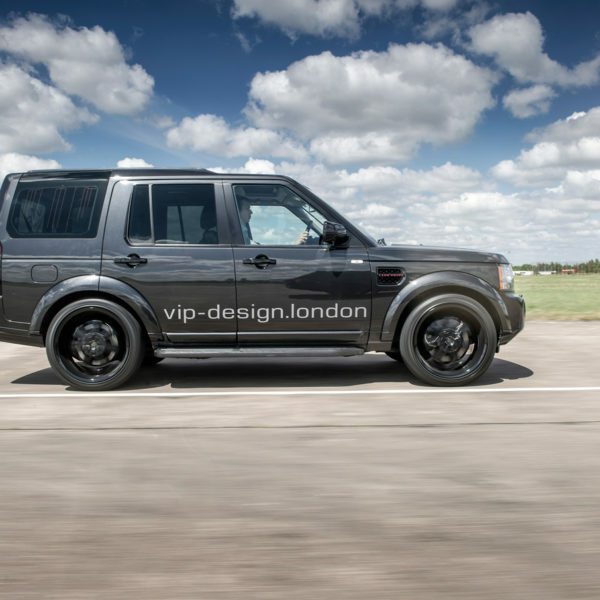 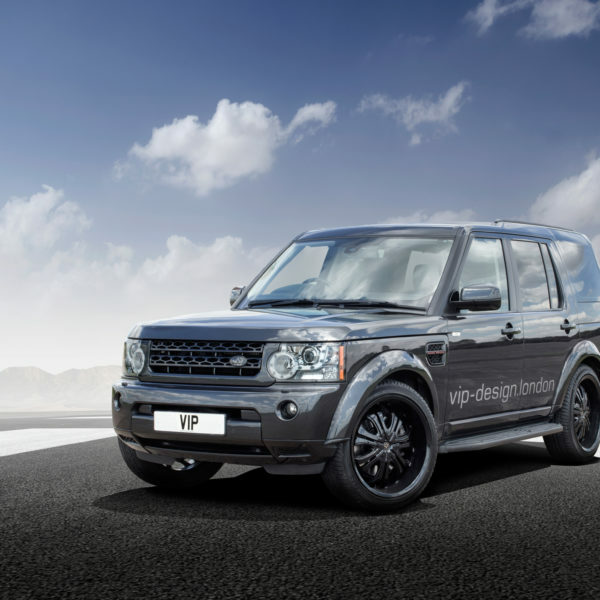 The Land Rover Discovery 4 3.0 SDV6 Project – enjoy…. 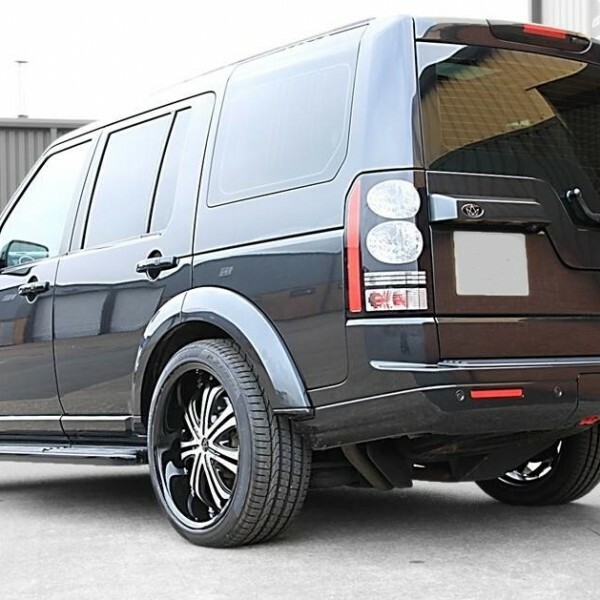 To help this monstrous power stick to the road, a set of custom 22” x 9.5” gloss black and machine face 7-spoke alloys wheels have been equipped to give this urban 4×4 a cool-daddy edge to it. 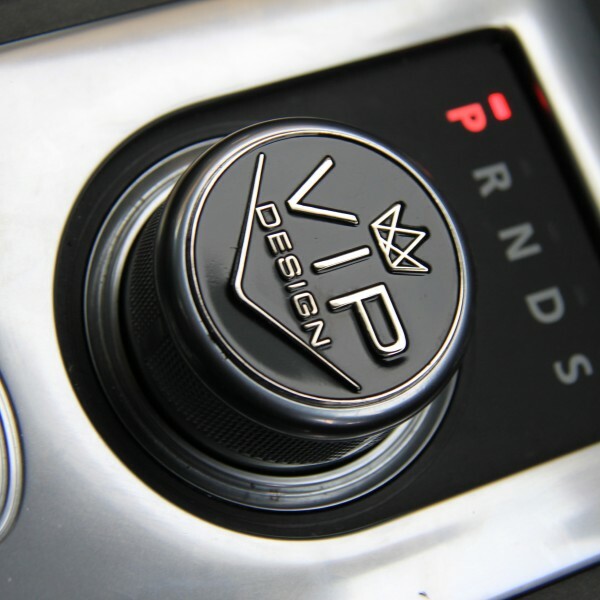 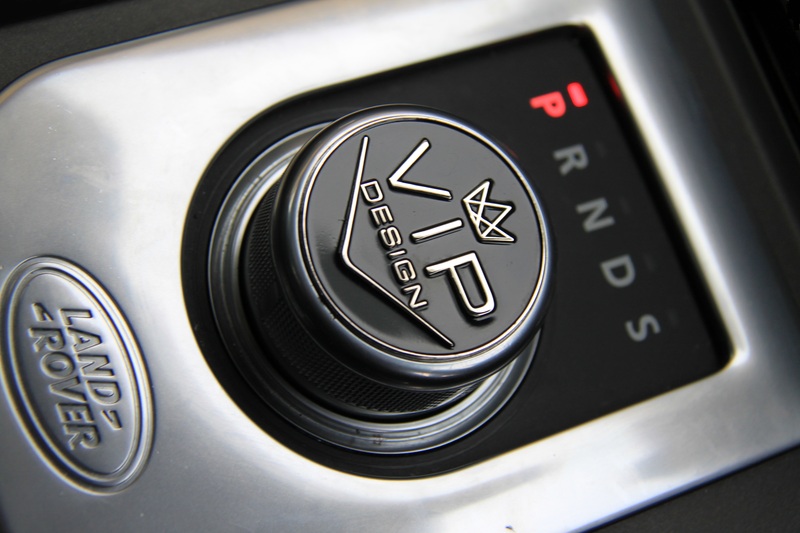 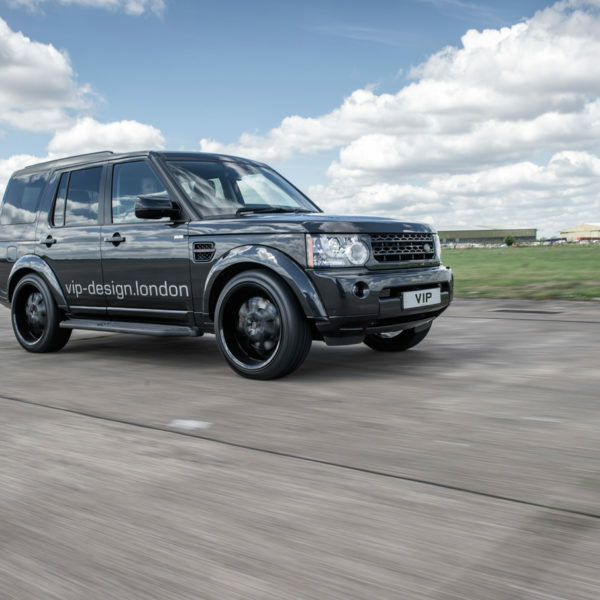 To take the handling to the next level, the electronically controlled air suspension has been dropped 40mm all round to tighten up the handling. This now gives that hard-core dropped look you’ve been waiting for but with no clearance issues to stop your stride. 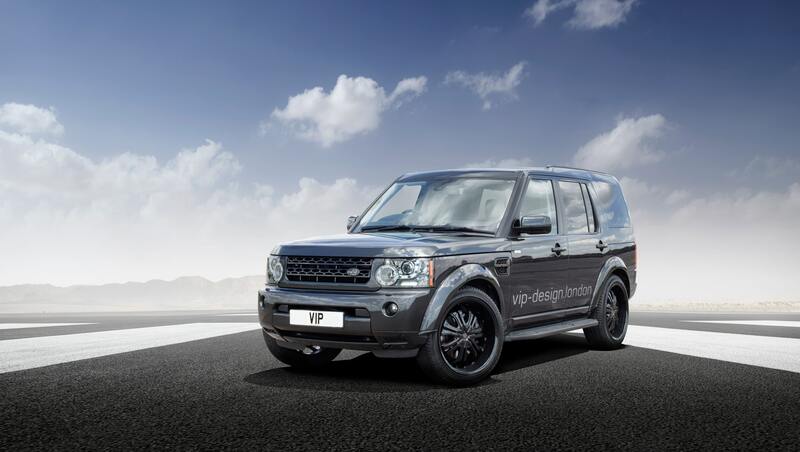 A subtle makeover with body-colour coding taken across a few stylish areas like the front grille, side step, door handles, side vents and mirror casings, even tinted rear lights delivering that urban gangster look without being too over-the-top. 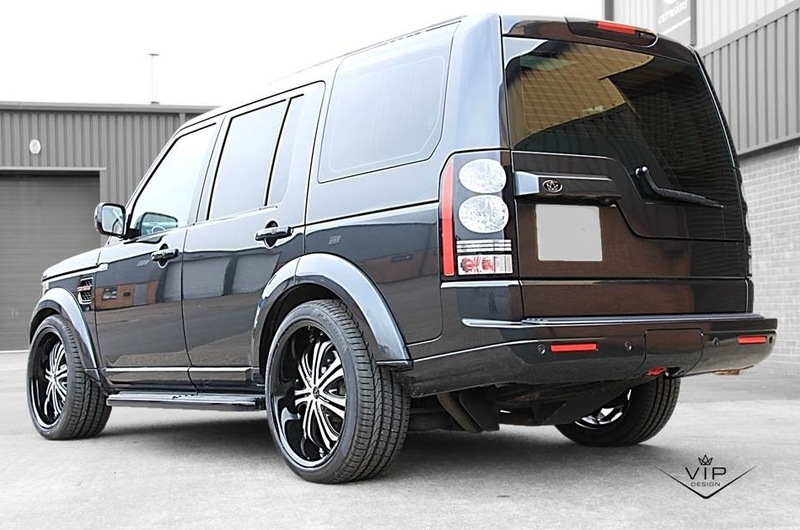 All the factory trim has been completely reworked body colour making this stand out from anything you could buy off the forecourt. 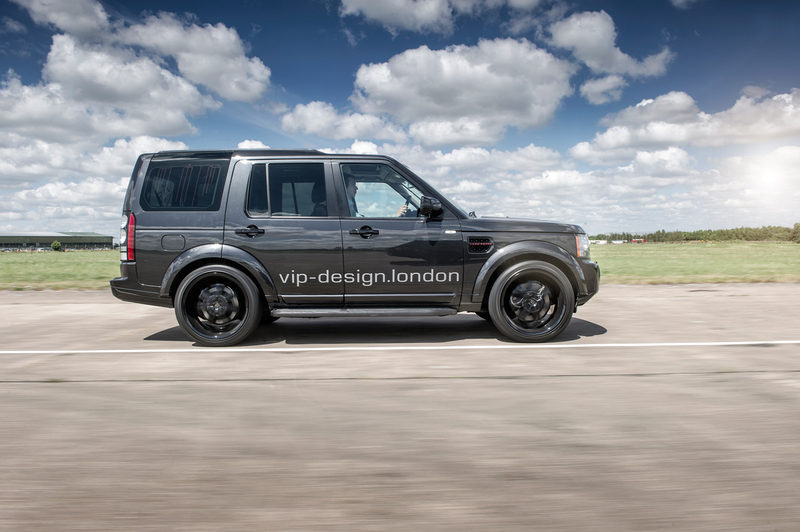 As standard this animal delivers 255Bhp. 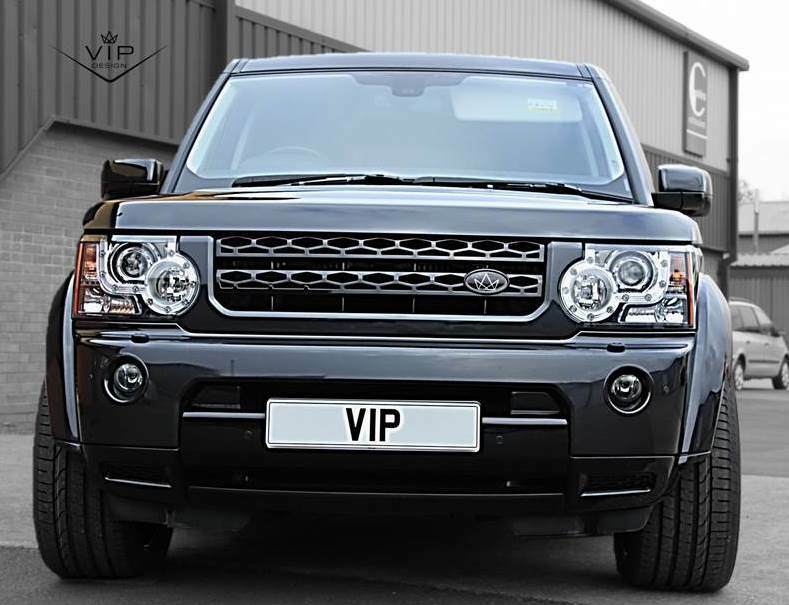 With the custom software and performance parts package developed by VIP, this is replaced with a very respectable 340Bhp and also talks the torque! 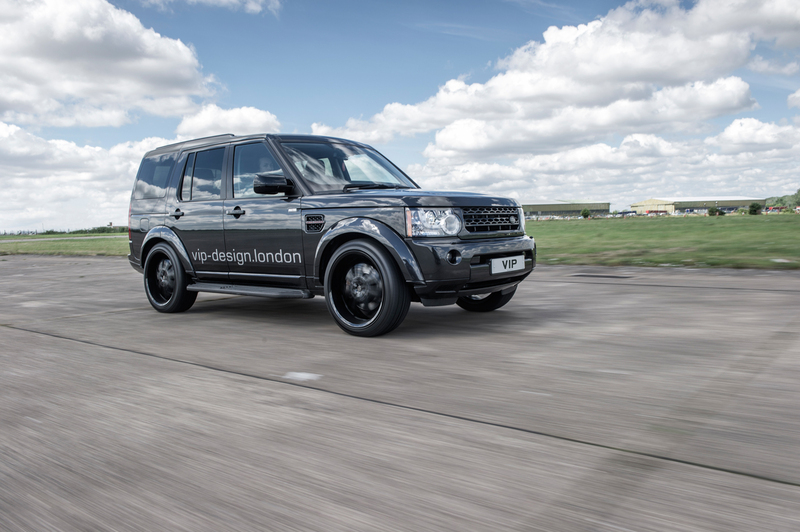 Taking the Disco from a plodding 600nm up to a staggering 775nm – this is serous pulling power. 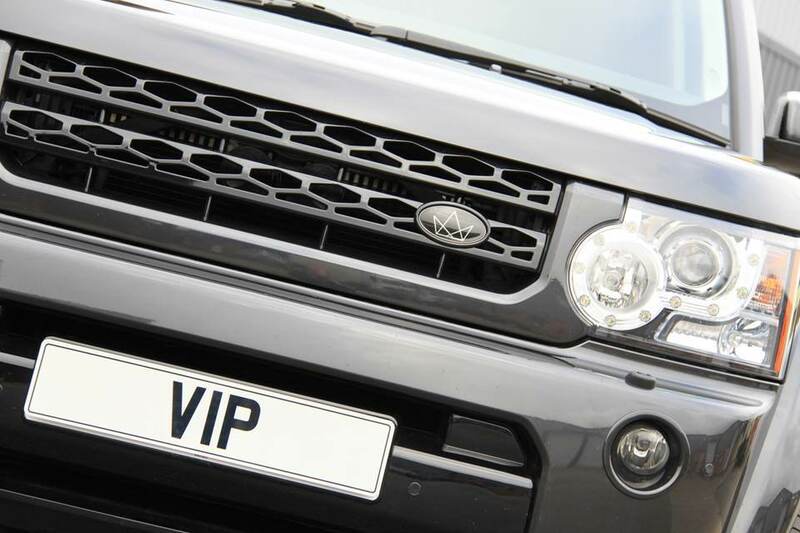 Carbon fibre trims and grilles – please ask for details. 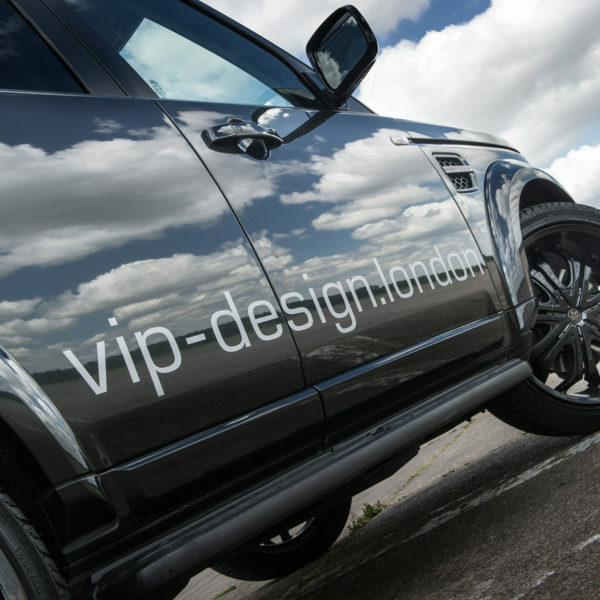 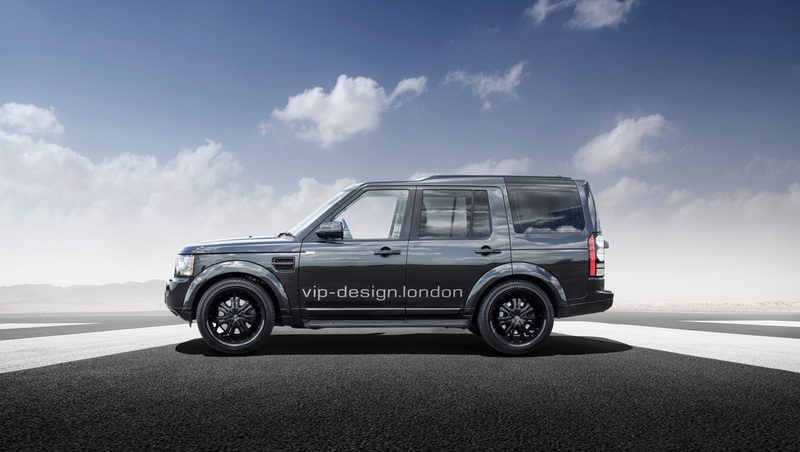 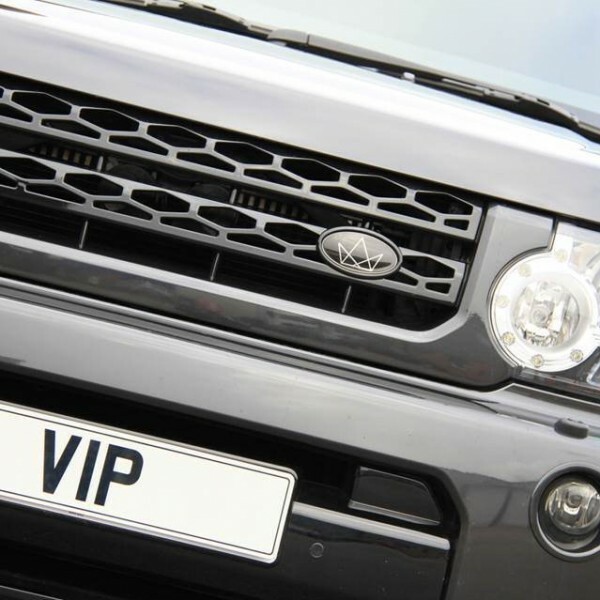 The VIP Design LR400X Disco is just simply stylish, with the power and torque to leave the Chelsea tractor crew behind. 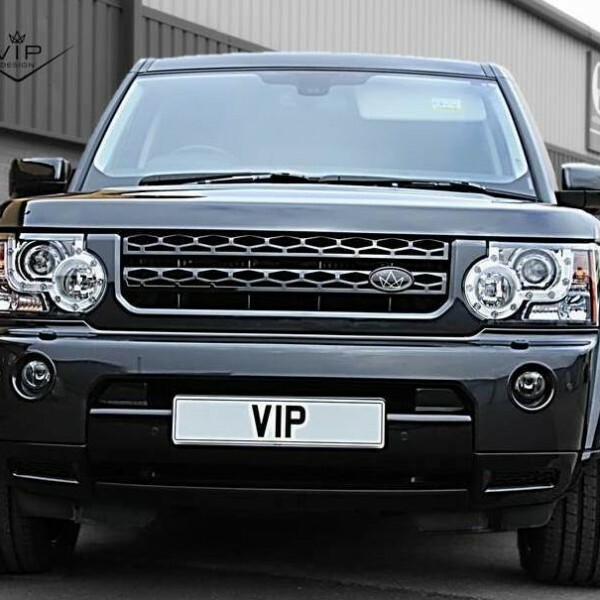 Power delivery that will have you grinning from ear-to-ear, be it in urban tank, school run cruiser or country bling.